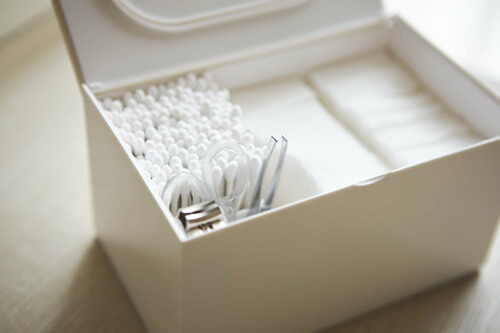 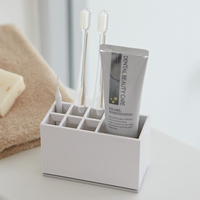 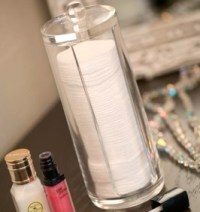 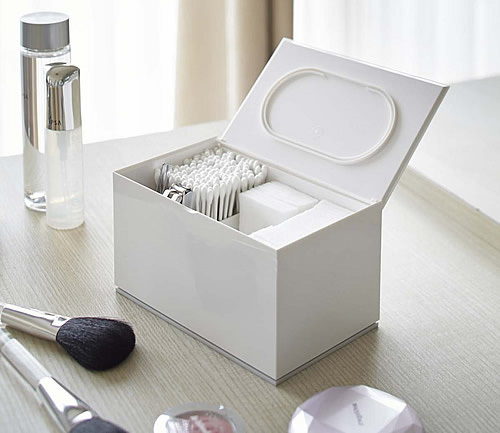 Our glossy white cotton bud and pad storage box is a must have for any bathroom or dressing table for those who like to cleanse, tone and moisturise. 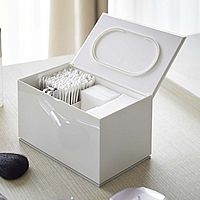 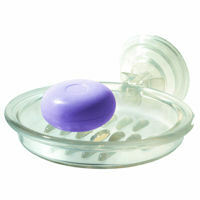 Under the lid there's 3 handy storage compartments, a larger one for cotton pads and 2 smaller ones, one for cotton buds and one that's an ideal size for tweezers, nail clippers & scissors etc. 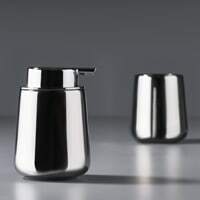 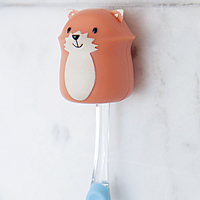 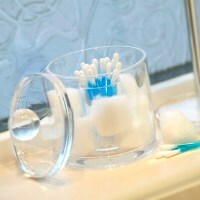 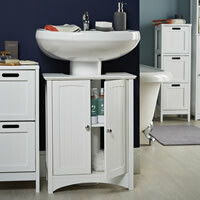 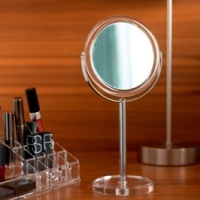 Another great bathroom storage solution from our designer friends at Yamazaki Homewares in Japan.